Depending on your job description, you may be at risk of personal injury when you show up to work each morning. Those who do manual labor are, of course, more prone to injury than those who work in an office. However, no matter how you are injured or what your line of work may be, your injuries should be protected by Florida’s workers’ compensation system. By working with an experienced West Palm Beach workers’ compensation attorney, you can maximize the benefits you receive and reduce the delay between receiving treatment and compensation. And, as you may have guessed, when an individual is injured, the carrier usually drags its feet in providing benefits. If available, accrued medical costs that are covered by any group health plan, short-term disability, and potentially long-term disability will have to be paid back by the workers’ compensation carrier. Both disability and group health care plans are protected under The Employee Retirement Income Security Act of 1974 (ERISA). 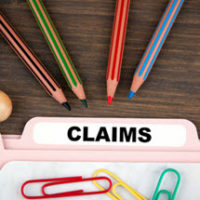 This act allows disability and health benefits to seek reimbursement if the policyholder later receives workers’ compensation benefits from the workers’ compensation carrier. This is called seeking an equitable lien. In 2016, a Florida case, Montanile v. Board of Trustees of the National Elevator Industry Health Benefit Plan went all the way to the U.S. Supreme Court to determine whether or not the industry’s health plan could recoup costs from a third-party claim that had been settled. In this particular case, Montanile was struck by a drunk driver and his healthcare plan paid for his medical care. When Montanile’s case settled, his attorney set aside money to reimburse the health insurance benefit plan. When they failed to respond, the money was disbursed to Montanile. Months later, the health insurance benefit plan file suit against Montanile for reimbursement. As the National Law Review explained in their article “Montanile v. Board of Trustees: New Model for Recovery,” this case resolved a previous split in the courts over whether or not a claim for equitable lien can be made once the money has been spent on non-traceable items. The U.S. Supreme Court ruled that once funds are disbursed to the injured party, a health care plan can no longer seek to recover costs from the injured party’s general assets. As a result of this monumental U.S. Supreme Court case (Montanile v. Board of Trustees), disability and group insurance providers are becoming increasingly aggressive in regards to pursuing reimbursement from policyholders. In order to protect your rights and the benefits that you receive, your lawyer must have total understanding of your health insurance policy, the workers’ compensation insurance policy, and fully protect the health insurance lien from monies recovered from a 3rd party. As such, if you need help, don’t hesitate to contact a West Palm Beach workers’ compensation attorney with the law offices of the Celeste Law Firm today for assistance throughout each step of your case.